Our all new foam dominoes give students a fun way to practice and reinforce key math concepts. This game includes two sets of 24 color-coded dominoes (48 total pieces); each set is ideal for up to four players. Instructions included. Made of durable foam (3” x 1 ½”). 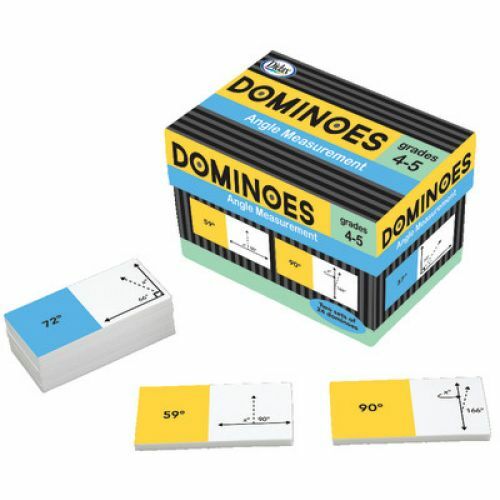 Practice angle recognition and calculation with domino games. One set focuses on complementary angles; the second set on supplementary angles.